Dr Antonietta Melchini, QIB Human Studies Coordinator said: “The EPoM study marks an important milestone for the QI as it is the first trial involving the QI Clinical Research Facility to be led by Quadram Institute Bioscience. 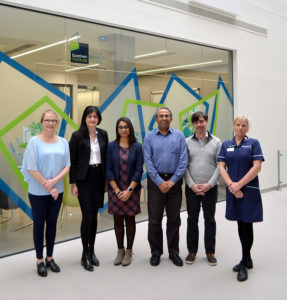 We are excited to be working closely with the CRF team to achieve successful delivery of this research, to welcoming our research participants in the new clinical facility. I envisage this will be the first of many joint research studies where QIB, UEA and NNUH CRF staff work together to make a strong impact in health and social care research.